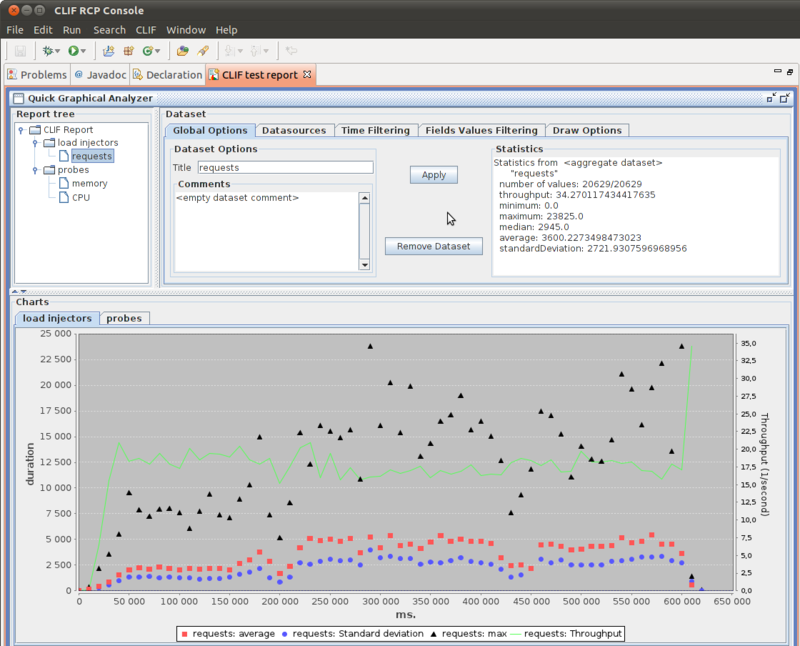 and probes, for measuring resource usage (processor, memory, network...). 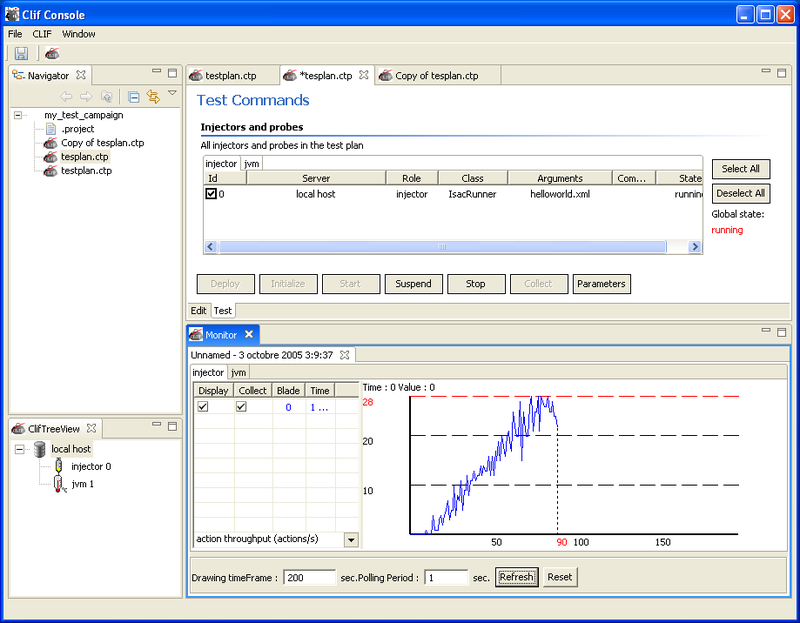 CLIF comes with test supervision features (including monitoring of response times, throughput, error rate, computing resources consumption), and analysis tools. 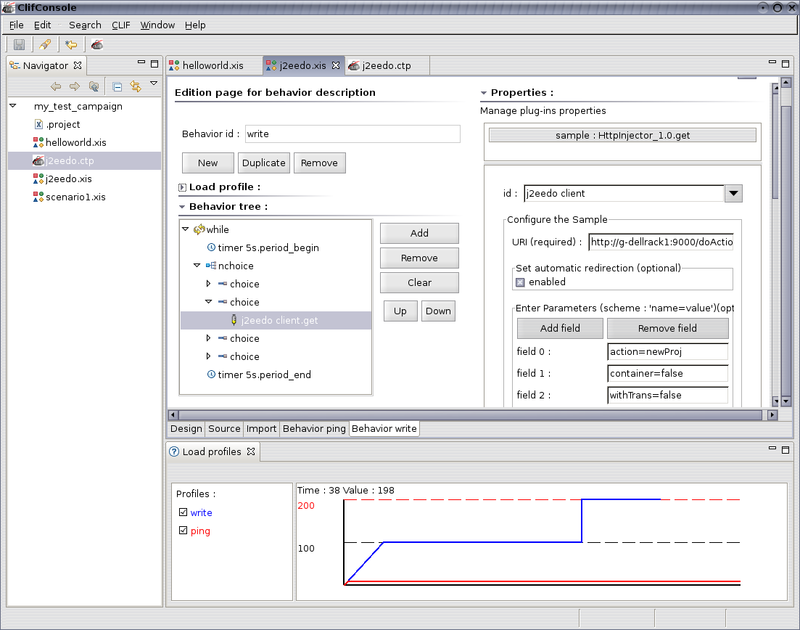 Both command-line and graphical user interfaces are provided, including Eclipse plug-ins. 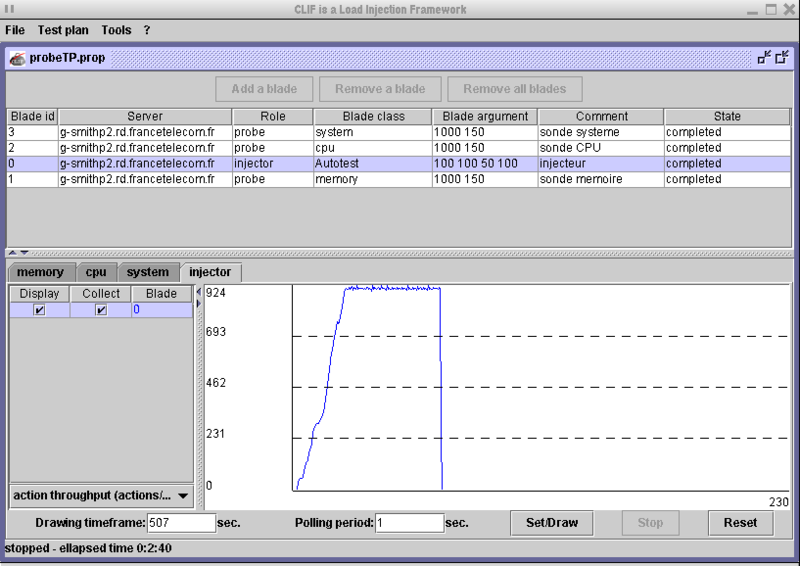 CLIF is extensible through Java programming (new injectors, new probes...). 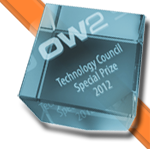 See the CLIF flyer for a two-pages overall presentation.